It has an insert made from a bit of 15mm plastic water pipe to hold the water for the flower. 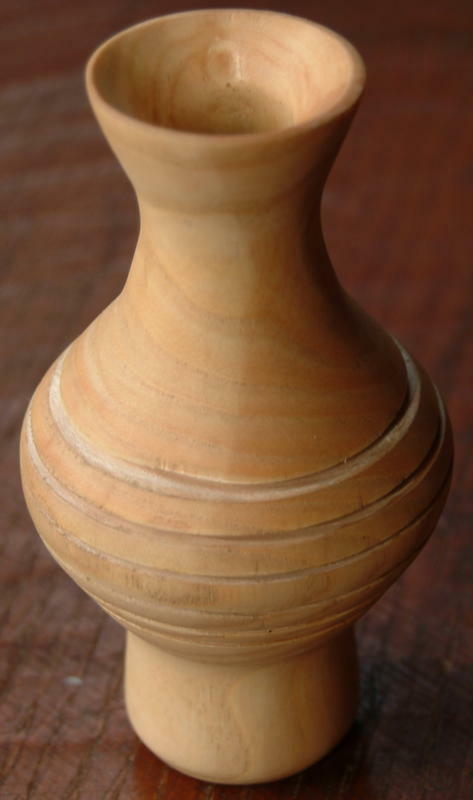 The grooves were a not-entirely-successful attempt to imitate a technique whereby if you view the silhouette of the vase, the bottoms of the grooves follow a concave curve. In hindsight it didn't really work because you don't notice the effect unless you look at it from just the right angle with a light behind it.